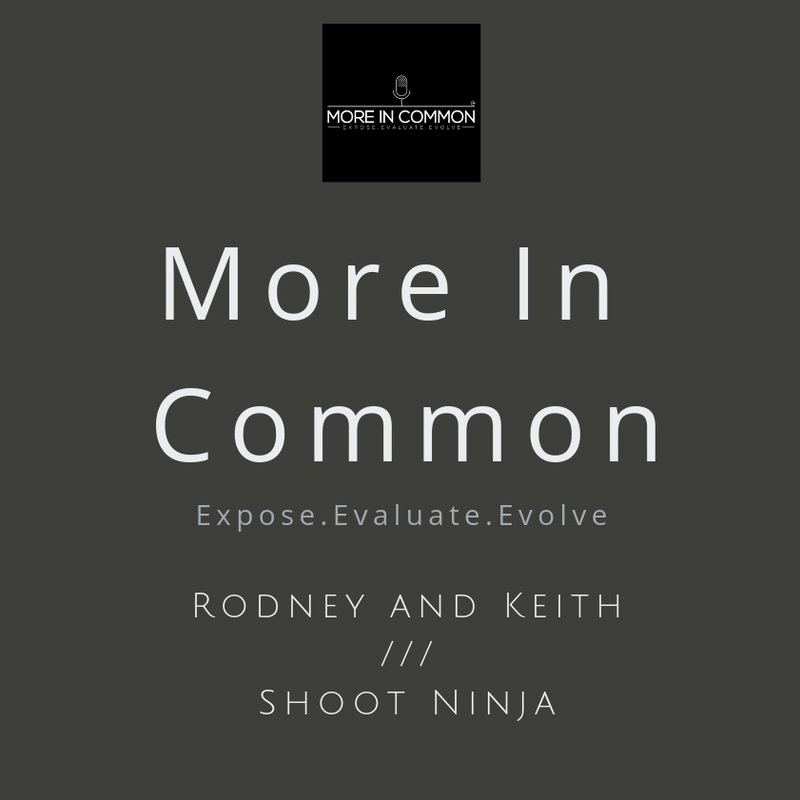 In Shoot Ninja, we introduce our framework and perspectives that have contributed to shaping our current mindset regarding race and race relations. We share stories and experiences from Rodney being the one person patted down at a hockey game in Chicago to Keith growing up in a predominantly white state. We look to provide context for others to understand what our intent is with More In Common, why we are here and ultimately the journey that brought us to this point. More In Common is a podcast where we discuss sensitive topics with each other and others Exposing perspectives to help Evaluate thought processes in an effort to Evolve our mindsets. We aim to introduce regular conversations that are difficult to have in everyday settings demonstrating how we listen and discuss with the goal of advancing acceptance and tolerance.